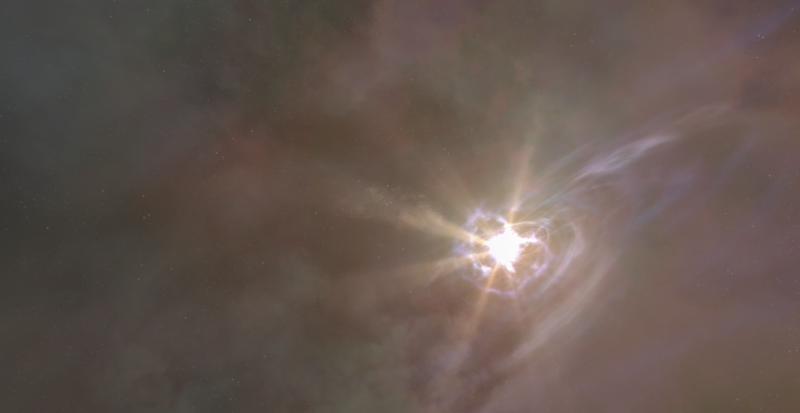 Last week saw the latest expansion to EVE and a whole host of changes to the way that the in-game universe is explored, along with some polishing of graphics and the way that inter-system transfers are depicted. The biggest visual difference that many people notice when undocking is a sweeping overlay scan of their current system that highlights a number of anomalies in the area. The general idea is that this encourages people to search these odd blips out and discover a range of things to make their lives more interesting/richer. The anomalous readings may correspond to pirate lairs, hidden resources for miners or wormholes that can be used to either shortcut across known space or that lead to unstable but profitable areas out in unexplored pockets in the universe. Using probes (essentially small drones with sensor packages, a familiar enough concept from many scifi shows and games over the years), it has always been possible to track down sites or hidden players, but one of the changes this time round has been to simplify the system. I’d tried half-heartedly to use probes before but found it too fiddly for the sort of game I was playing at the time, so it was always on the back-burner as something to consider doing on a rainy day that was always just being put off a bit more. Not really having that excuse any more, I therefore had to see what all the fuss was about. To that end therefore I broke out my Zephyr – a specialist probe ship that was given away as a freebie by CCP a while ago to subscribers and took it out for a spin in the local system. Just to make it more difficult for myself, I didn’t read any instructions. I wanted to see if the process was as instinctive as claimed in the press releases, and to be fair I only had a couple of moments where I had to retrace my steps. Effectively a mini-game within a map of the system, the ship launches a spread of probes with their effective scanning ranges overlapping. Through a series of radar-like triangulations you essentially move the centre point of the formation within a spherical and then circular area as you get nearer to pinning down the anomalous location. 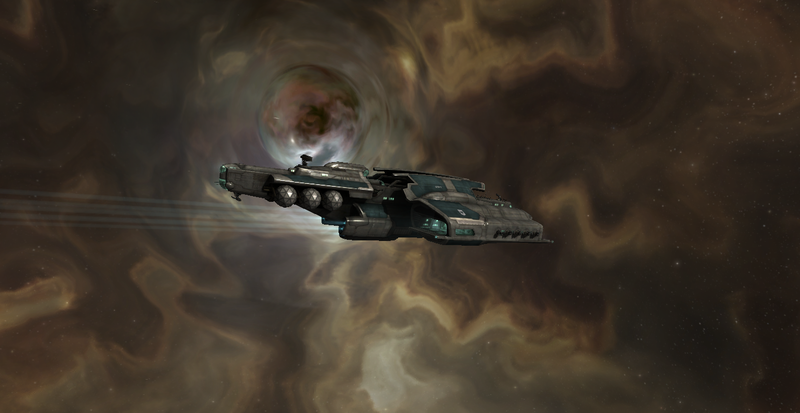 Wormhole Inspectorate! One At A Time Please! My delight at being able to pin it down fairly quickly was then tested by needing to poke my head through the wormhole I’d discovered, and find out where it went. … and found a beautiful if desolate space scape on the other side. Mindful of tales told in forums and the help channel in-game I quickly bookmarked the wormhole’s location on this side and ran a quick directional scan. There didn’t appear to be anyone around, but that was fine by me as the fear of what could be out there, from killer AI to players protecting their claim prompted me to bug back out the way I’d come. It was unnerving, but fun – and there’s nothing quite like successfully doing something in a game that you’ve never managed before so I didn’t feel too bad about chickening out at that point. The discussion on G+ where I shared these photos initially continues to put a smile on my face, and I think has encouraged me to refine my probing skills (oo-er, missus!) and start exploring these new vistas. It’s daunting as an essentially solo player to undertake, but that’s just how I’ve chosen to play given my time constraints, so we’ll see where it leads. 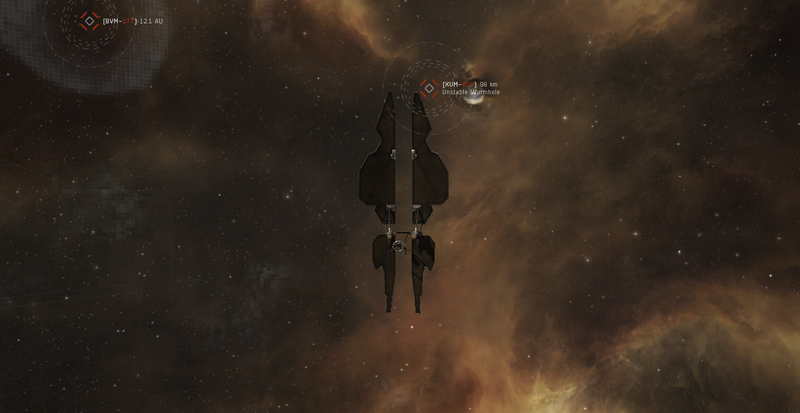 This entry was posted in EVE Online, games, images and tagged CCP Games, EVE Online, games, Video Games. Bookmark the permalink.